Please just take a minute and fill in your name, email, and message. I will get back to you ASAP! The phone number and Skype ID are not required but it does give me options in how to contact you. This is a secure form and I will be the only person to see this message. I will never use your contact information for any reason other than to reply to your message. 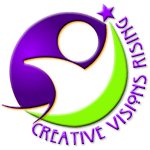 Please make sure you look for my email within 24 hours from kym@creativevisionsrising.com.